Lake Powell is located at the Arizona and Utah border near the town of Page, Arizona, and was formed by the Glen Canyon Dam on the Colorado River. America’s second largest man-made lake, it is the ultimate destination for houseboating vacations. Lake Powell has become a playground like no other place on earth. Lake Powell is arguably the most scenic lake in America, situated in some of Southern Utah’s finest red-rock desert country. The reservoir is named for explorer John Wesley Powell, a one-armed American Civil War veteran who explored the river via three wooden boats in 1869. After completing the dam in 1963, it took seventeen years for Lake Powell to fill the canyon to the high water mark (3700′ above sea level). In 1972, Glen Canyon National Recreation Area was established. It is public land managed by the National Park Service, and available to the public for recreational purposes. Lake Powell Life is the premier daily news publication that is accessed locally and all over the world to find out what is happening in the Lake Powell area. Some 3 million visitors make Lake Powell their destination on tour from the Grand Canyon National Park to Zion and Bryce. European and Asian visitors alike seek out the news of Page Lake Powell as well as restaurants, tourist operations, pet sitters, and automobile repair in the Business Directory at Lake Powell Life. Lake Powell Communications offers the only two area radio stations that broadcast in the vast 70-mile radius around Lake Powell. 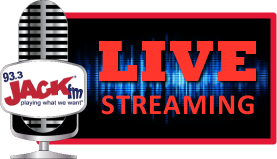 The popular 93.3 FM KXAZ Jack Radio provides a variety of classic hits from the 70s through the present, pleasing all ages and music preferences. For country music enthusiasts, tune into the 1030 AM radio station. Summary: News about Lake Powell and the surrounding area.